It’s important to keep in mind that supplements aren’t actually that vital to the healing process. The only reason I recommend supplements is because in some cases it’s extremely difficult to get all the nutrients your body requires just from food. The best option would be to invest in high quality organically grown food in addition to making the proper lifestyle changes and getting proper chiropractic care. I’ve been asked a lot lately about the specific supplements I use and recommend to my patients. I’m not able to answer all the messages personally anymore due to a busy schedule and upcoming projects but I made a list of some of the supplements I like. Some of them may contain affiliate links which means I get a small commission from recommending them. Here is our full affiliate disclosure. All the supplements listed here are actual products I personally use and recommend to my patients with or without the affiliate links and I strongly believe in their benefits. These home phototherapy devices are an excellent source of natural Vit. D supplementation, especially during winter months. My family has been using the e-series panel for over a year now with great results. Indications for use: Psoriasis, Vitiligo, Eczema. USE CODE: drjohnbergman at the check out for 5% discount on all devices. 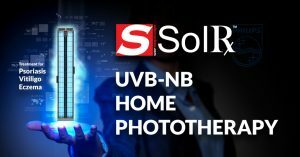 Note: SolRx devices are Class-2 medical devices and any sales to private individuals in the USA require a doctor’s prescription/recommendation available for download on their website (doctors of Chiropractic can also sign these forms for their patients).